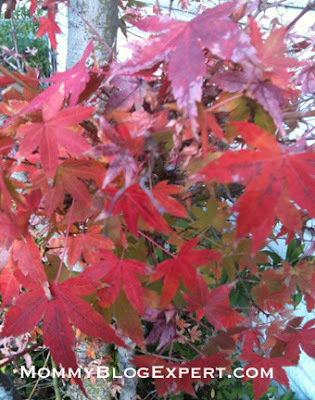 It's my favorite time again. Fall. Time to share about another of Coffee Bean's $1 hot and cold 12 ounce drink special days with 100% of each $1 drink proceeds being donated directly to the charity Feeding America. 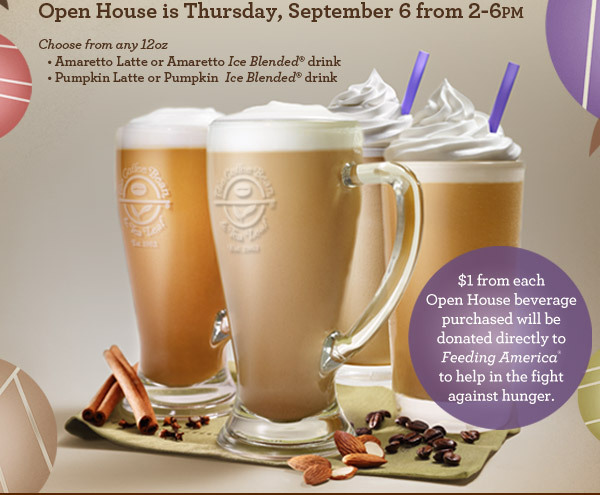 Offer is good one day only, on Thursday, September 6 from 2-6 pm at Coffee Bean & Tea Leaf retail locations nationwide. Wouldn't this be a great surprise pit stop on the way home from school after you pick up your kids. At this price mom and dad will be smiling too, since buying drinks for every member of the family won't break the bank. What's more is you can help a great cause just by buying these $1 drinks. I know I'll be bringing my high school triplets and their big brother in after school and I can't wait to try the Pumpkin Latte myself this Thursday. How about you? Who will you be bringing along and which of the new drinks for fall sounds good to you? For more information and store locations, see the official Coffee Bean & Tea Leaf Facebook Page. FTC Disclosure: MommyBlogExpert is a long-time loyal customer of The Coffee Bean & Tea Leaf as well as an avid cheerleader of the brand on Facebook. However, MommyBlogExpert did not receive any payment or other compensation associated with this post. See complete FTC Disclosure information that appears at the bottom of MommyBlogExpert's main page and at the bottom of every individual post on this blog, including this one.